Tokyo’s Ginza district has long been known world-wide for fine shopping. A new retail facility is designed to expand on this reputation. 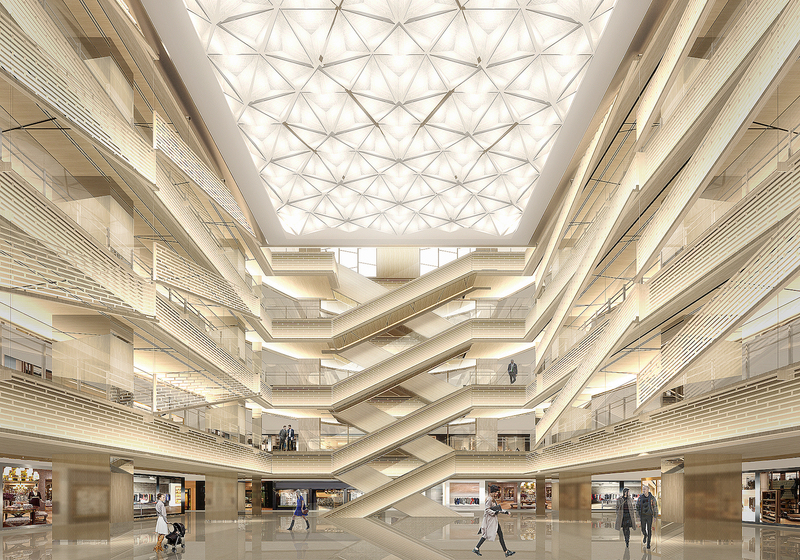 The Ginza Six space will bring together a wide range of 241 brands in the largest retail facility in Ginza. When the facility opens in April 2017 it will set a standard for new luxury. 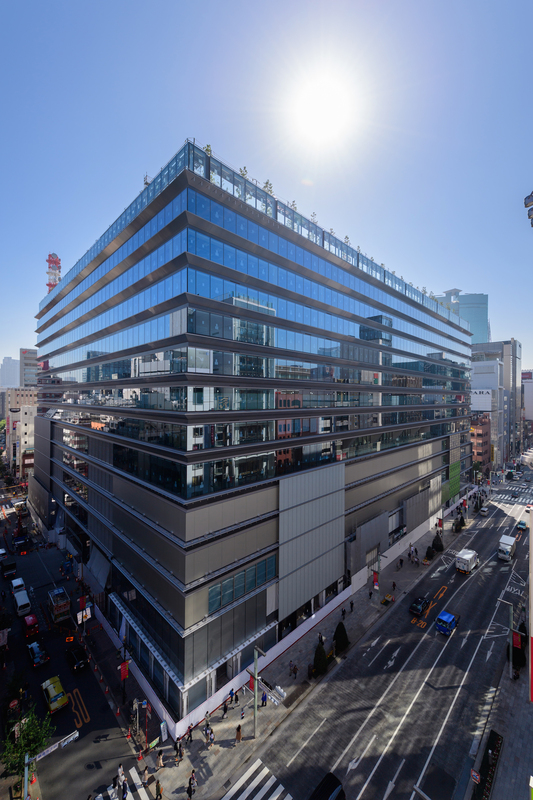 Of the 241 stores, 122 will be flagship stores, 81 stores that will be opening in the Ginza area for the first time and 65 stores that will be developing a new business format at Ginza Six. The interior is directed by Gwenael Nicolas of Curiosity Inc. who saw the opportunity to create a space that prioritizes human emotion and physical experience. The design was inspired by the narrow alleyways that can still be found in Ginza or Kyoto. They studied the lighting effects of shoji screens or andonan oil lampstands, common features of Japanese architecture, to create lighting designed to move through the area like wind. For the first time in Ginza retail facilities, Ginza Six is introducing valet parking. The property will also include a 480-seat, 1,600 square meter theater will serve as the base for the Kanze school, the largest in Japan’s Noh theater tradition. It will also be open to the local community as an event venue. There will also be a Tourist Service Center and a tourist bus station. Ginza’s largest rooftop garden, a 4,000 square-meter space open to the community, will serve as a haven for leisurely interaction among visitors to Ginza and seasonal events are also planned. The upper floors of the facility house seven office levels with a total office floor space of around 38,000 square meters. 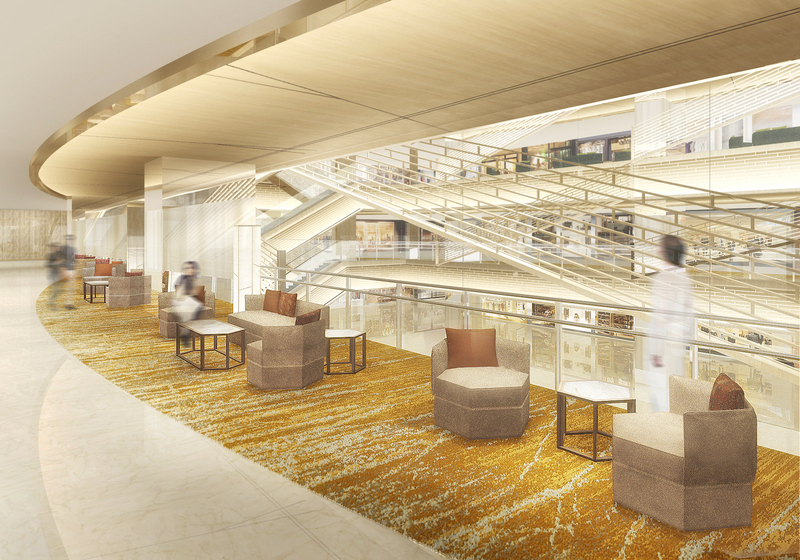 The office environment will accommodate around 3,000 office workers in the center of Ginza.